← Marfa Myths is this weekend! A survey released this week predicts good health for the US energy industry. 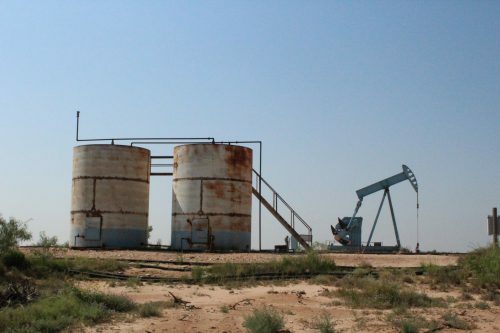 The results could have especially positive implications for producers in the Permian Basin. The survey, issued twice a year, polls a variety of oil and gas executives across the US about the energy lending market. It asks for their predictions about producers’ borrowing base – which is basically a measure companies use to determine what they can spend. This season’s findings are more positive than ever before. Especially when compared to the first survey issued in 2015 following the downturn. The survey indicates that more than 80 percent of respondents expect borrowing bases to increase in the Spring of 2018. Grahmann expects that producers in the Permian Basin will see the higher end that increase. He thinks survey-takers’ growing confidence is based on sustained activity in the Permian, as well as the price of oil, which is up over the last 6 months. This entry was posted in KRTS News, KXWT News and tagged Energy Industry, Oil and Gas, Permian Basin. Bookmark the permalink.